How did I miss this? 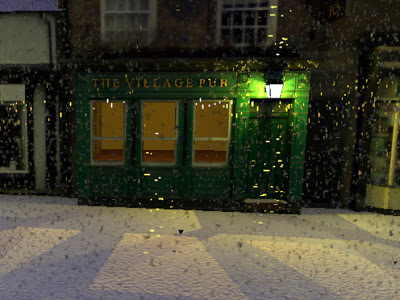 Enter the Shaderlight Winter Wonderland contest (deadline extended to January 31) and possibly win an Amazon.com gift voucher, SketchUp Pro, and Shaderlight Pro! P.S. I am almost tempted to delete this post. I want to win. Seriously, I do. And by posting this for all of you, I decrease my chances. Hopefully my public statement does not affect my odds of winning adversely. Enjoy this new collection of colorful 3D building models curated on the Google 3D Warehouse. 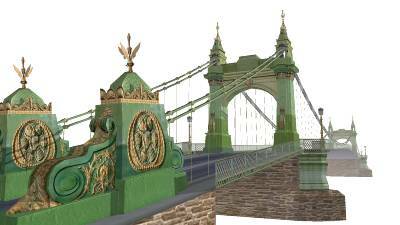 Image of "Hammersmith Bridge" 3D model by Frogmouth.